Tena Šojer 20. 5. 2014.
eZ Publish Summer Camp is an annual three day long event for developers organized by Netgen, focusing on eZ Publish CMS and Symfony. This year it is taking place in Rovinj, Croatia, from September 3-6, and it has a special twist: a complimentary PHP camp. Get your sunglasses and laptops out, and register as the Super Early Bird. The camp comprises of workshops providing useful examples, first hand experience and hands on practice for eZ Publish CMS, especially version 5, whereas the PHP camp is focused on delivering cutting edge PHP experience, especially related to the Symfony framework. 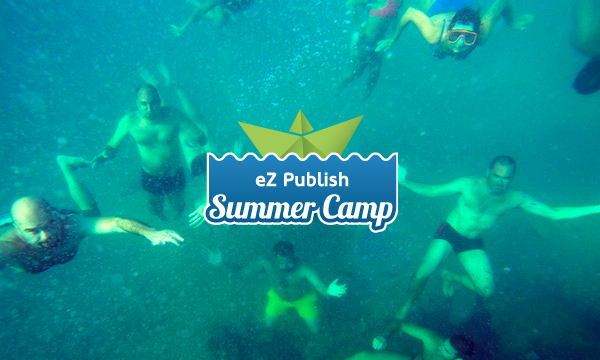 Super Early Bird for the PHP/eZ Publish Summer Camp event is available until the end of May at the price of 330EUR and the price includes 3 full days of hands-on workshops on PHP, Symfony and eZ Publish, several un-conference styled session for networking and community engagement, plenty of leisure activities and a boat trip. The event is taking place at Hotel Park, Rovinj, Croatia from 3rd to 6th of September 2014. Tickets are available in the Salsa Adria Productions webshop and you can find more information about the programme, travel and accommodation on the eZ Publish Camp website. Tena is a blogger and columnist for Netkracija and Netocratic, working with a great team to bring the best internet, tech and startup news to the Balkans. Her interests are writing, science, technology and education, and her goal in life is to find a way to pursue them all at the same time.